Secrets of How Do Pokies Work? The pokies started out as the game loved in Australian bars and pubs and since then they have become and international sensation. 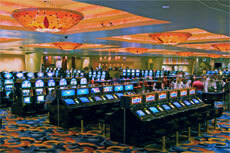 Today pokies can be found in land based casinos all over the world and in almost all the online casinos. These games are exciting, very entertaining and absolutely fun to play. However, there are a lot of misconceptions on this game and ways to play it. Players who do not really know how pokies work would have some false impression about these games which can even hamper their game. Every spin on each pokie machine is totally random. However, this concept is often not understood by players. Most players believe that if they play on a single machine for a long time they would have better chances to win. This is a total misconception because players do not understand different events in the gambling process. In the case of pokies all of these events are separate from each other and are not connected at all. These machines have no memory and so they do not take in consideration the results of the past spins. In most cases, even if the players are losing consistently they would continue to play on the same machine thinking that the machine would be due for payment soon enough. Pokies are never due for payment! The chances of winning on pokies are the same for every single spin. If you want to know some way which will definitely help you with slots, choose only reliable gambling strategies. There are some really useful ideas about the strategies of pokies. In a span of a millisecond, the pokie machine picks out one result randomly. It will continue to generate thousands of more combinations even when the machine is idle. The program used is known as the Random Number Generator and it continues to give out the combinations all day long. According to the results of combination which is picked by the program, the symbols on the reels would line up and that would be the result of the spin. The program does not have a memory and it cannot think on its own. It produces the results without any relation to the outcome of the previous spins. If the combination is a winning one, the player would be paid and the machine would continue to work again. There are no lucky machines or lose pokies and so there is nothing that a player can do in order to ensure that he will definitely hit the jackpot. In fact, pokies are a source of revenue for the casinos and even though they are entertaining, for most sessions players would lose more than they would win on these machines. Players should be aware of it when they play pokies in land based or online casinos. However, most players play pokies only for fun and they do not really care even if they are losing their money.